A spectacular supper-club extravaganza that mixed cabaret, burlesque, and illusion for a truly exquisite evening! In July 2012 Milo Miles launched a new cabaret concept for Harvey Nichols Prism Brasserie in London. 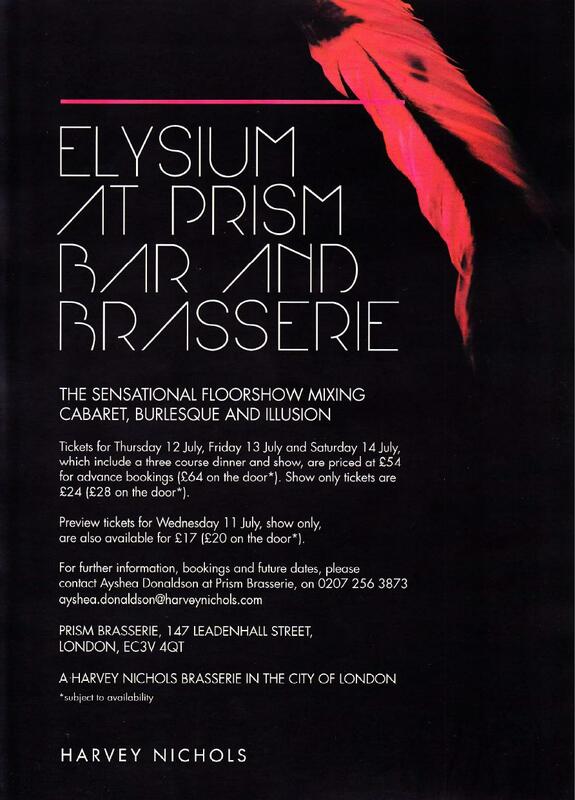 ‘Elysium’ was a sensational floorshow, mixing cabaret, burlesque and illusion. Audiences spent the evening from cocktail hour to post dinner drinks enjoying acts from an array of performers. 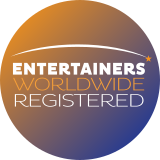 With Milo Miles as their host and hostess, a talented cast of dancers, singers, burlesque stars Jolie Papillon & Bouncy Hunter the show included magicians Richard Lee, Oliver Meech and Dee Riley who delivered a truly dazzling evening! Created and choreographed by Milo Miles, directed and co-produced by Robert Bicknell with executive producer Leonardo Greco this elegant and sophisticated evening looked back to the heyday of cabaret and blended it with contemporary supper club, in a relaxed and sumptuous environment. With thanks to Jane Saunders and Darren Goad for their preliminary involvement and to Ildy Minardi for her tireless assistance.